Mary Magdalene's place in Christian biblical canon has seen a progressive revision in recent years. Falsely branded a prostitute by Pope Gregory I during the Middle Ages, the Vatican elevated Mary to "Apostle of the Apostles" in 2016 to affirm her stature. Her story is told with reverence by director Garth Davis. He portrays Mary Magdalene with the utmost respect, but never establishes a personal connection to the character. Her journey with Jesus is documented, as well as her faith. But there is a paucity of substance to her internal feelings. The result is a somber tale that fails to be compelling. Mary is captivated by the message of a travelling rabbi. She watches in astonishment as Jesus of Nazareth (Joaquin Phoenix) preaches forgiveness, then performs miracles that heal the sick. Mary leaves her family to join Jesus and his apostles; who are concerned about her presence. Peter (Chiwetel Ejiofor) is wary of the young woman, but Judas (Tahar Rahim) accepts her. As the preachings and incredible feats of the messiah spread, Mary is a stalwart supporter of Jesus' divine gospel. His followers grow, but Jesus confides to Mary that his time will soon come. Their path to Jerusalem will have tremendous consequences. Garth Davis previously directed Rooney Mara in his Oscar nominated debut film, Lion. It's obvious that he has great faith in the emotive power of her facial expressions. Much of Rooney Mara's performance is unspoken. She physically reacts to the events around her. Mary turns away in tears after her father's subjugation. She's wide-eyed and astounded by the powers of Jesus. This tactic works to a point, but then becomes passive. I wanted to hear more from Mary; her thoughts, how she feels. Mary needed to be more vocal about her situation. She abandoned her family to follow a religious leader in a time when women had no rights. The film clearly had to have a focus on Jesus, but is too scant on Mary's opinion about the world around her. Mary Magdalene puzzled me on several other fronts. On one hand, Garth Davis and his production team do well with the settings. The villages, earthen towns in Judea, all look historically accurate for the time. I also appreciated the diverse racial casting of the apostles. Where the film goes south is Mary's pristine cleanliness. Rooney Mara is swathed in white cotton and linen throughout the film. Mary sleeps in the dirt, walks miles on dusty roads, but looks like she just stepped out of a salon. Her teeth are sparkling white. Mary is almost ethereal in her flawlessness. She sticks out noticeably from the unwashed, matted masses of extras and supporting cast members. Was this done on purpose as a nod to her virtues? I honestly can't tell if Garth Davis had an artistic intent in portraying Mary Magdalene as physically immaculate. It struck me as odd and felt out of place. I do appreciate the film's intentions. The story of Jesus has been told umpteen times from a male point of view. Mary Magdalene, regardless of your religious beliefs, is a fresh perspective. She is a vital part in Christian lore and deserves a sensible portrayal. 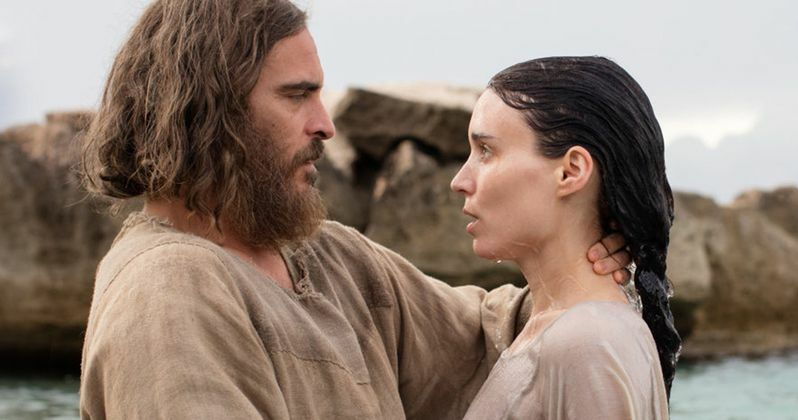 Mary Magdalene is a good effort, just not ultimately successful. The film was completed three years ago, but languished because of The Weinstein Company's collapse. Mary Magdalene will be finally distributed in U.S. theaters by IFC Films on April 12th.